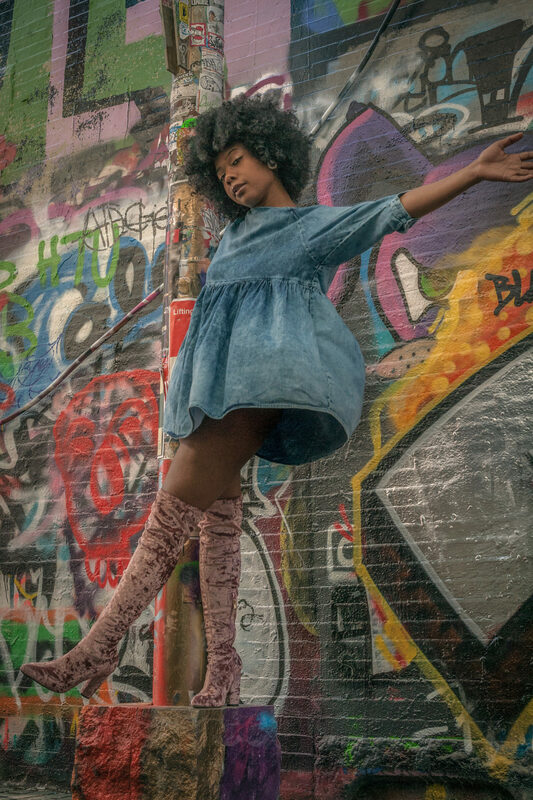 In my first blog post, Frugal Festival Fashion, I mentioned how I was not able to go to Curlfest this year, but how I wanted to go to Afropunk at the end of the summer, if the universe permitted. In the same week of the event, literally less than a few days before it, two friends and I spontaneously decided to buy tickets for Afropunk. We were told that they were sold out, but when it comes to these types of events, there is always a way to find tickets. 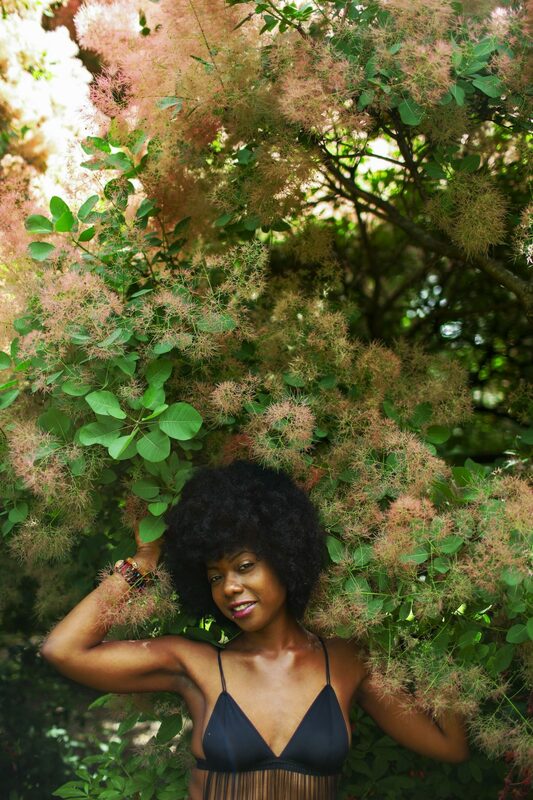 I was super amp that we were going to Afropunk, because I had been wanting to attend for a few years now, but the spontaneity is what really made it all feel like an adventure. And if there is anything I live for in life, I LIVEEEE for an adventure! With Boston and New York being so close in proximity, it’s never too difficult to plan a weekend getaway. The last minute initiation for this trip, made it quite difficult for me to run out, or go online, and find an outfit like I usually do. I don’t know, there is something about getting something new for a new event, even if it’s from the thrift store and it’s secondhand, it’s still new to me. With only a short amount of planning time, I ended up creating an outfit that was already in my closet, instead of purchasing a new one. Honestly, I thought about rocking one of the looks I wore for my Frugal Festival Fashion blog post, but I knew I couldn’t be that lazy now lol, especially with the amount of clothes that I already own! The festival ran for two days, Saturday 25-Sunday 26, two days of music, two days of good vibes, two days of killa fashion, and two days of Black Excellence. As I arrived to Afropunk for Day 1, I remember walking in, and rushing to see H.E.R perform, but simultaneously starring at the vast variety of styles and looks. Calling all the looks unique is truly an understatement here. I have never been somewhere, where so many different personalities were being loudly expressed right through their clothing. I would find myself starring at one person, to seconds later being intrigued by the next person that would walk right by. It was overwhelming, but in a good way! It proved to me, that despite the lack of representation, how deeply rooted Fashion is in the Black Experience, and how much of an influence Black People have on it’s evolution. But it also showed, that so many Black People including myself, use fashion as a way to powerfully express who they are, and to embrace their individuality, in a American Society that refuses to see Black People love who we are, know who we are, and prosper. This was also anmoment in time, where I was not one of the main fashionista’s in the room, and it was a weird, but it was more euphoric than anything. Afropunk was split into two different stages, with vendors, food trucks and food stations surrounding them both. The one thing that was difficult about the stage split, was that sometimes two artist that you are interested in seeing, would be performing at the same time! Some of the performance highlights for me, was seeing H.E.R, Daniel Caesar, Janelle Monae, Miguel, Erykah Badu, Issa Rae who came to greet the audience and promote her show Insecure, and Angela Davis, who surprised the AfroPunk audience, and came out to recite a very revolutionary spoken word piece. The line up was so dope this year, and it one of the main reasons I was eager to attend! The positive energy that danced in the air, was so high, so electric, almost every artist that came on stage, could not come on stage without acknowledging its presence. My two outfit choices for the festival, were a reflection of my mood, the weather, and most importantly the line-up for the day. For the first day of the festival, it was a very hot and sunny, so I wanted to show some skin! I wore a two piece set, that I actually created from my wardrobe. Both of the clothing items, that you will eventually see below, weren’t originally together, but I digged the look. For the second day of the festival, I wanted to switch my look up, and I definitely did. It was a Sunday, so I was feeling more of a chill vibe, so I wore a short sleeve, wide leg jumpsuit. As I mentioned, in my Look under 50 post, jumpsuits are def my thang! Lastly, some of the pictures were taken on my way to the festival. We thought we weren’t allowed to bring cameras into the festival, but so many people had their cameras! The photographer I collaborated with on this shoot is, Lyne P. Errie, a Haitian-American woman, who is an effective and supportive social worker by day, and an ambitious photographer at night. who else went to AfroPunk this year? What were some of your highlights for the event? Have you ever been to any other festivals, if so list some below! I’m definitely interested in experiencing another festival that I have never attended! Also, don’t forget to like and share! Until next time. I didn’t go but I saw so many dope pictures. Black is really beautiful & honestly after reading your first 2 posts I want to go thrift shopping for some new looks. Rashinda definitely do thrifting!! I encourage it for the fall, I’m telling you, I just went this pass weekend, and I’m going to do a video where I show readers the items, so stay tuned!